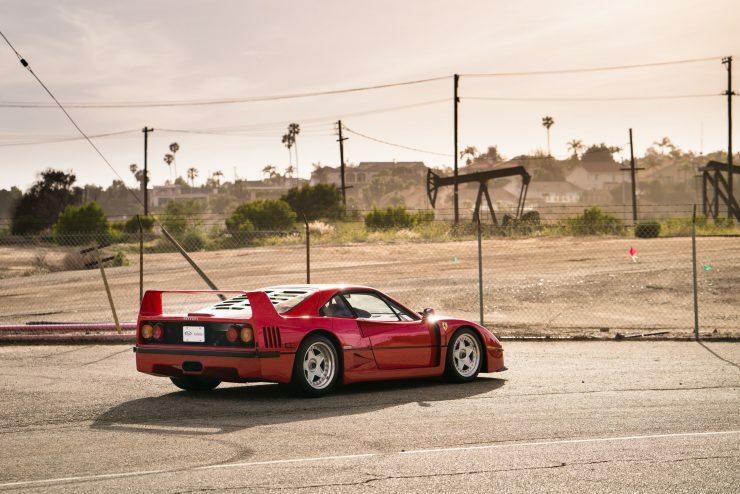 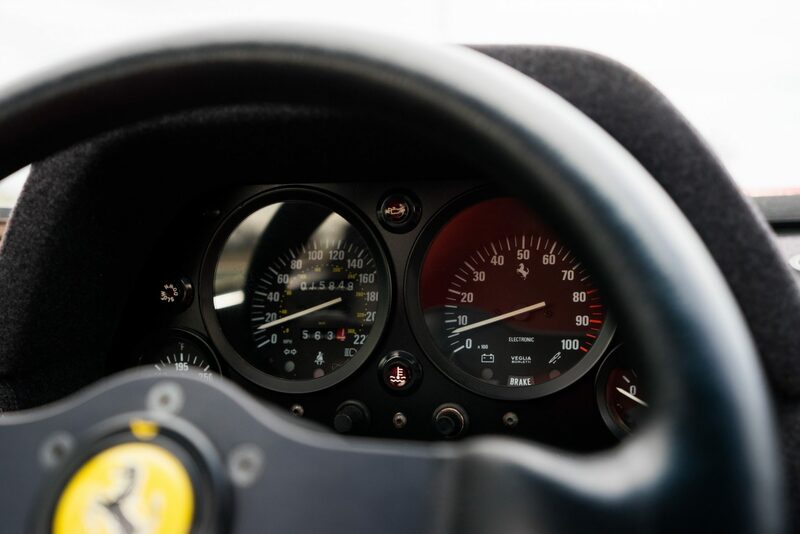 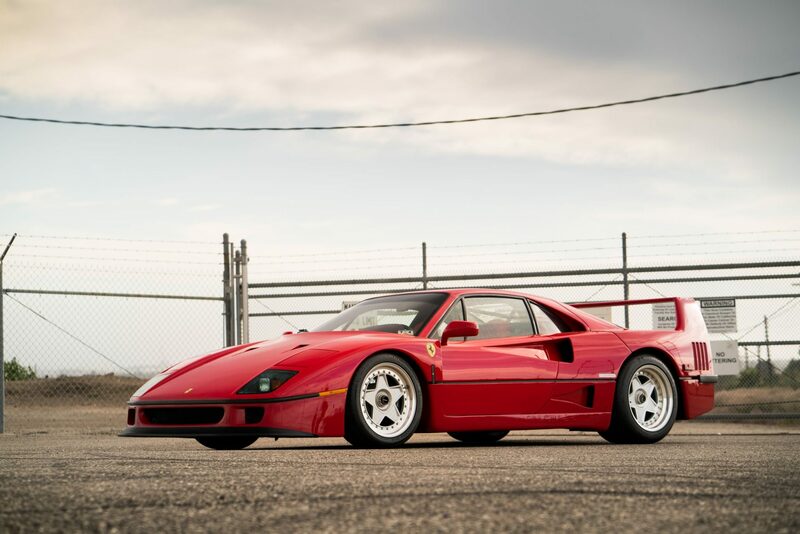 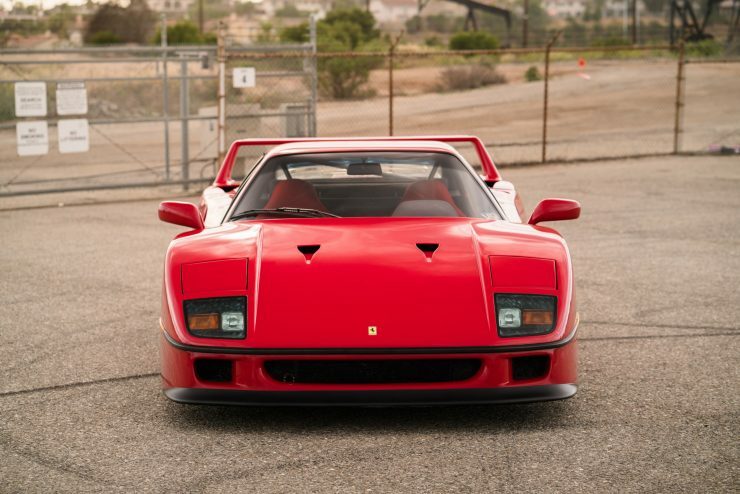 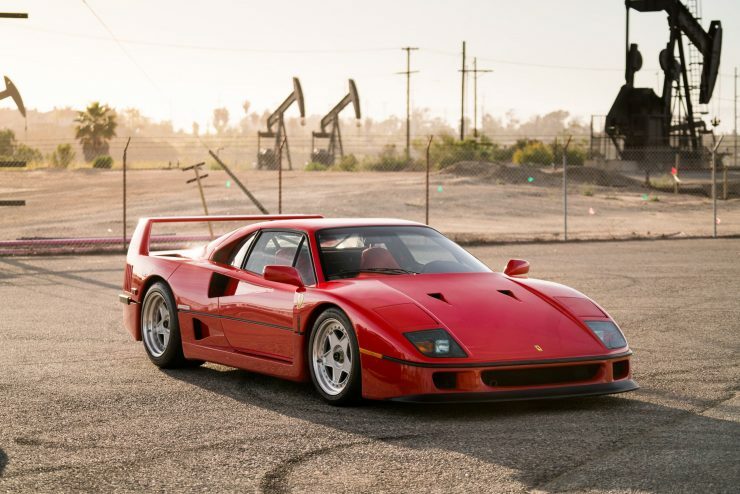 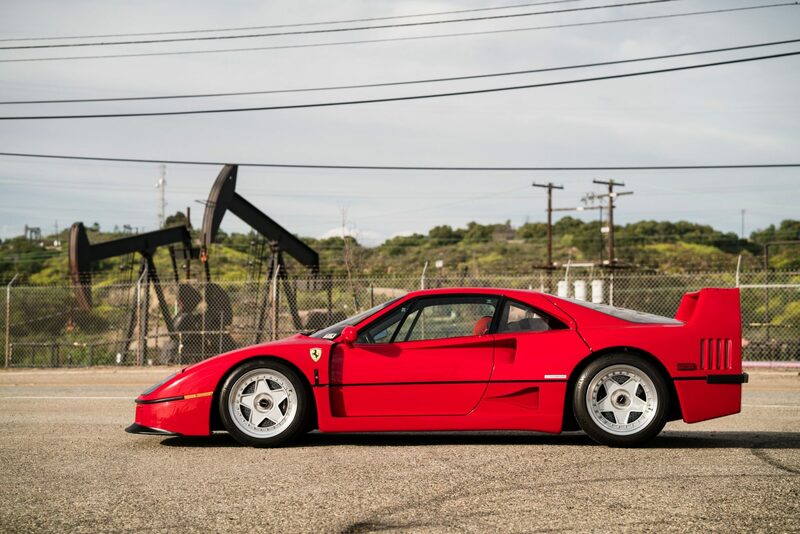 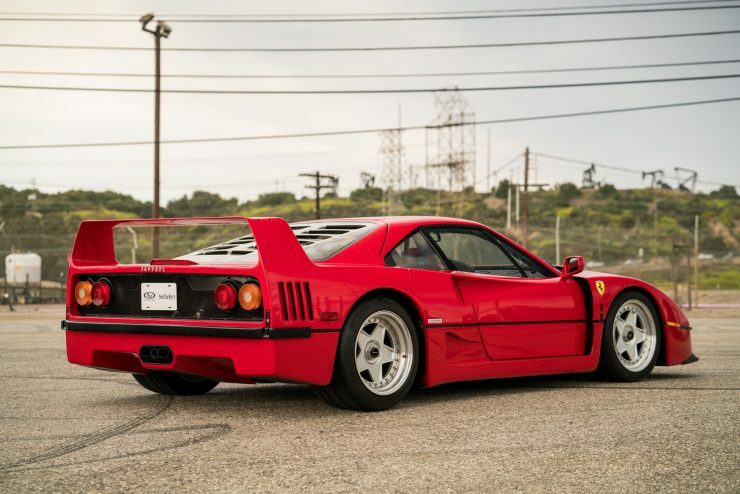 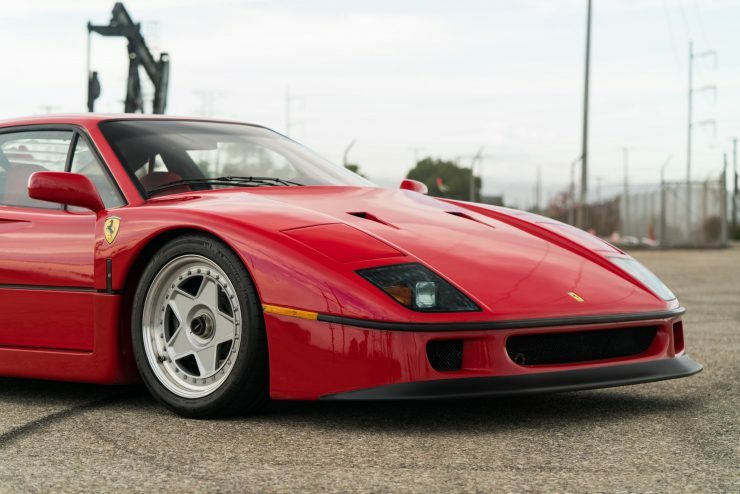 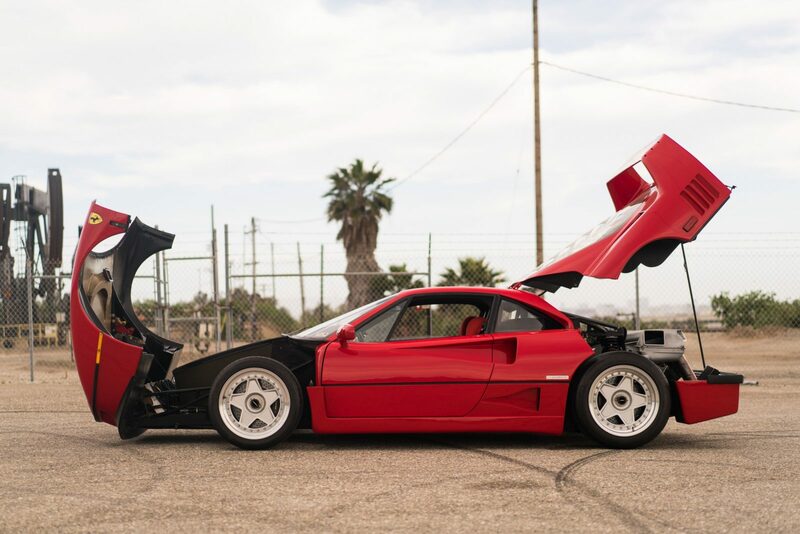 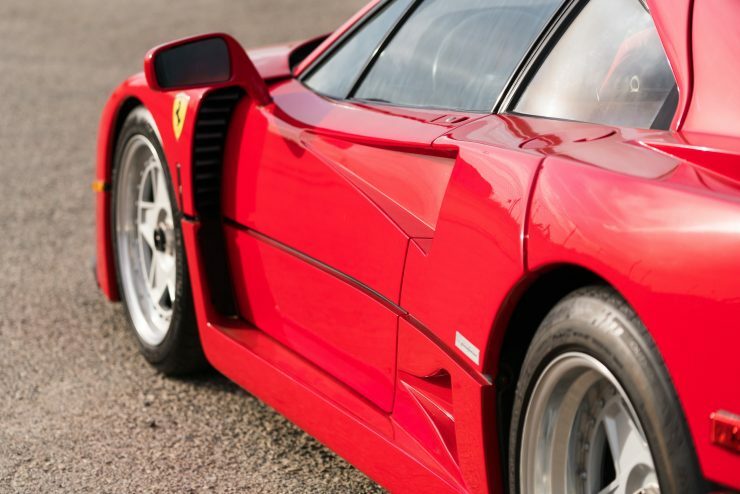 The Ferrari F40 is considered by some to be the first supercar, but those who have driven one will tell you it’s probably better described as being the last of the first supercars. 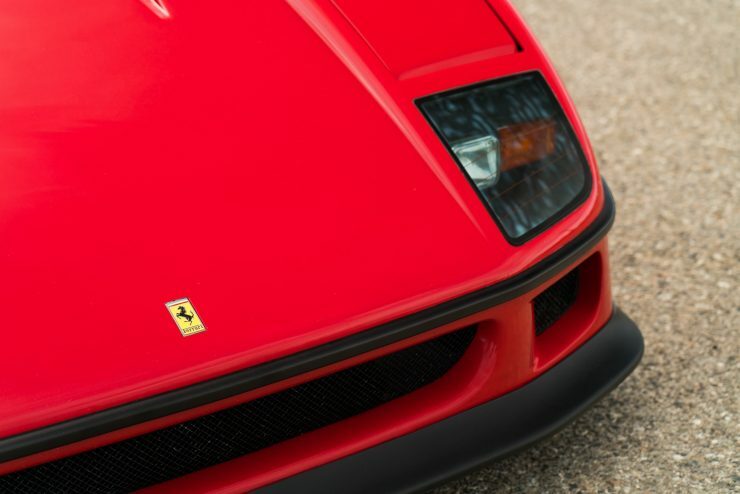 The F40 would be the final Ferrari personally approved by Enzo Ferrari, and although it was intended to compete with the thoroughly modern, computerized, and cutting-edge Porsche 959 – it shared none of its modern wizardry. 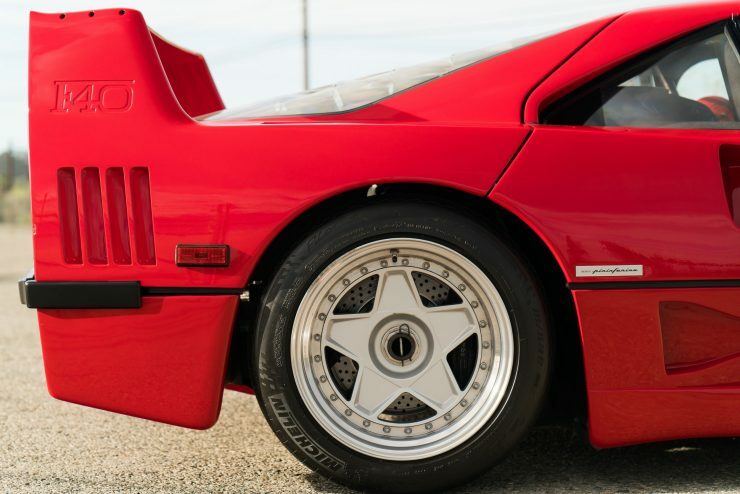 It was decided to create an iterative development of the 288 GTO Evoluzione and make it road legal – but keep it as true to its origins as possible. 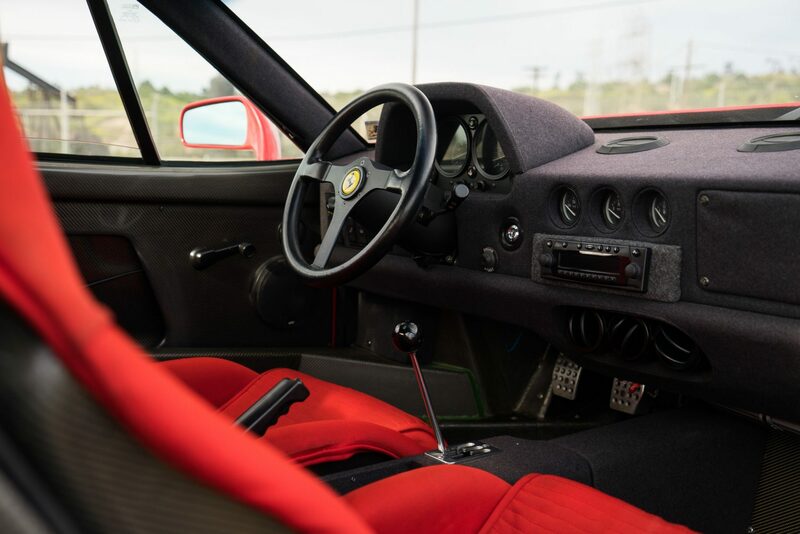 The staggering success of the original Ferrari 288 GTO with both collectors and speculators had shown Ferrari that there would be a market for an extreme car with a price tag approaching $1,000,000 USD. 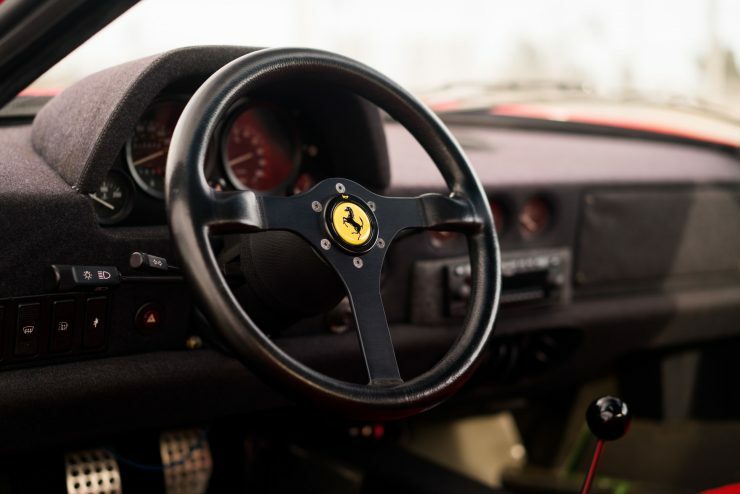 The 40th anniversary of the marque was also approaching, and Enzo likely knew that he didn’t have many years left at the helm of Ferrari due to his advancing years. 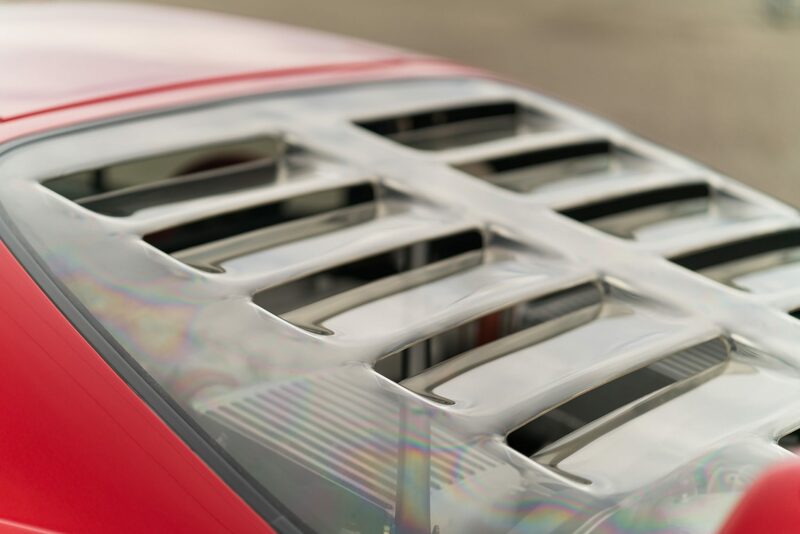 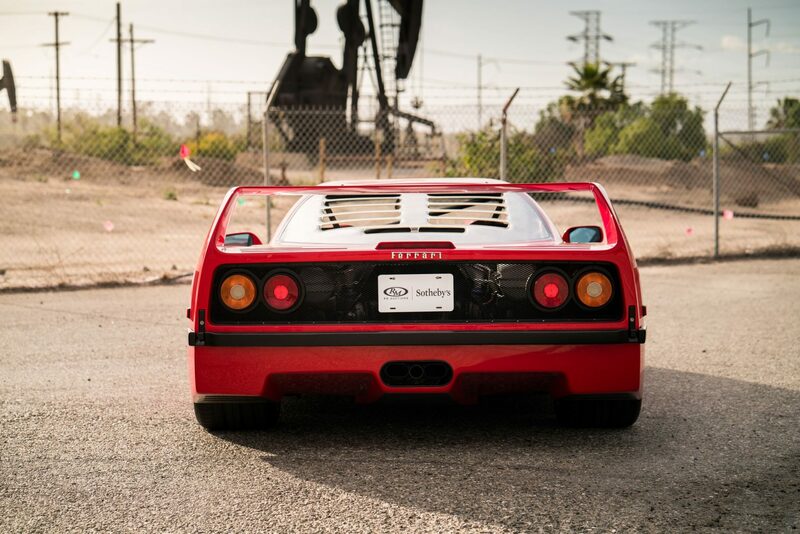 These factors both contributed to the development of the F40. 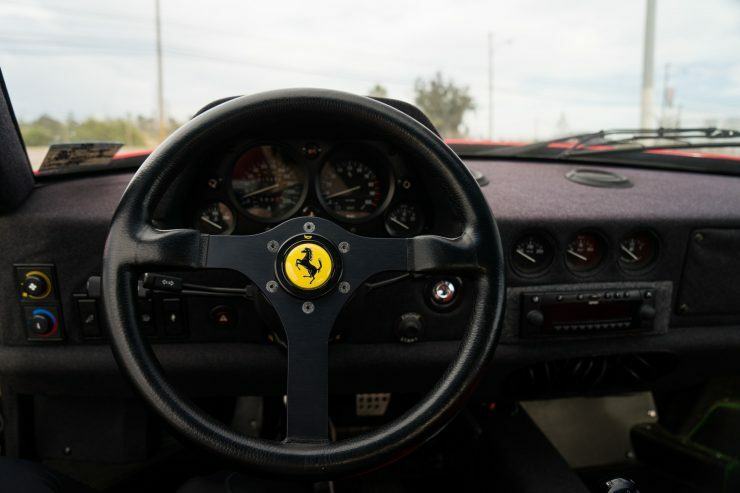 The “F” stands for Ferrari, and the “40” stands for the 40 years of operation. 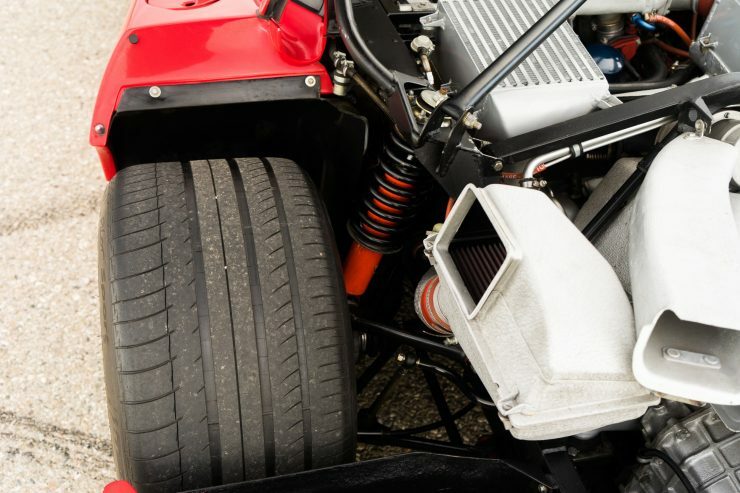 The chassis was a steel space frame, suspension was unequal-length wishbones with coil springs over telescopic shock absorbers both front and rear, and there was no ABS, no power steering, no power brakes, and nothing other than metal, hydraulic fluid, and rubber between the driver and the asphalt. 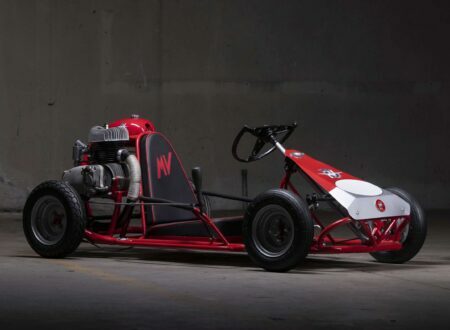 The mid-mounted V8 has a capacity of 2936cc, a 7.7:1 compression ratio, twin overhead camshafts per bank, four valves per cylinder, Weber-Marelli electronic fuel injection, twin IHI water-cooled turbochargers and a pair of Behr intercoolers. 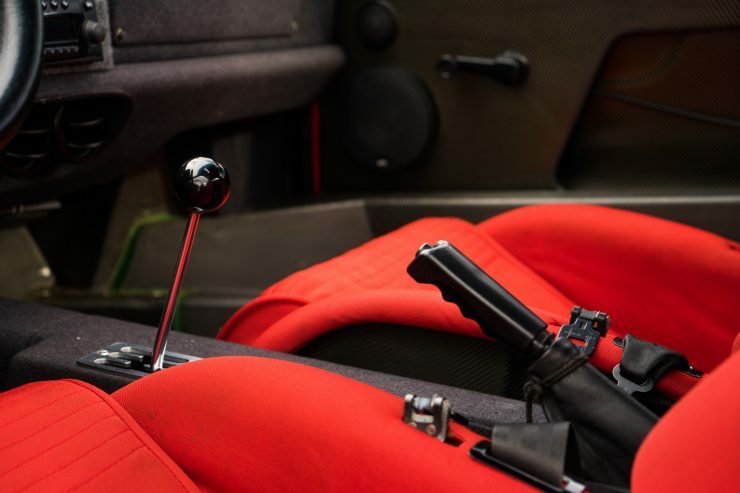 Power was listed as 478 bhp at 7000rpm, and the top speed was 197 mph – although some took it to 199 mph, and some claimed figures just over the magic 200 mark. 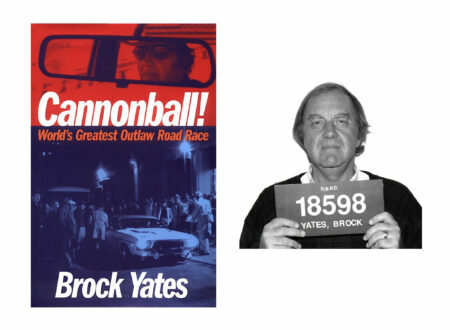 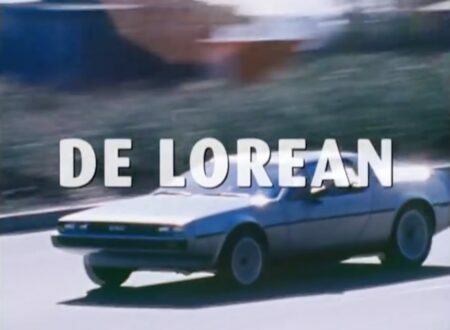 An in-period review by Car and Driver helpfully noted that insurance premiums were $15,000 (every 6 months), it cost $12,000 a month to finance over 5 years, and perhaps most importantly it could manage 122 mph in the quarter-mile. 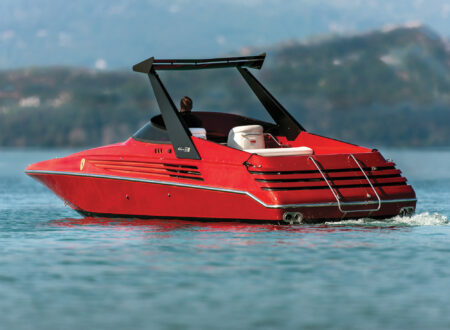 Perhaps the main place where Ferrari allowed a hat tip to modernity was in the construction of the body. 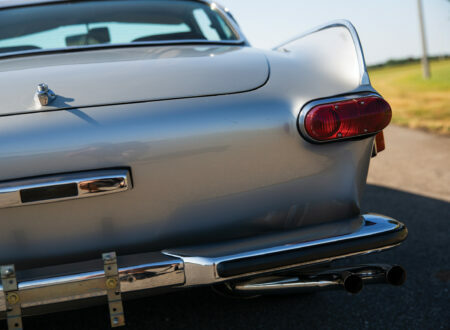 It was made of Kevlar, carbon fiber, and aluminum alloy to keep weight as low as possible (1,369 kgs (3,018 lbs)), and the shape was crafted by an extensive aerodynamic testing regimen. 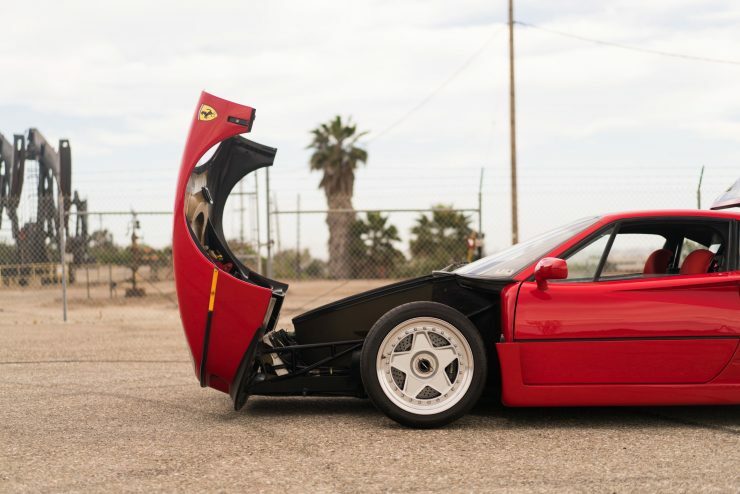 The F40 you see here is from the final year of production, it’s also a US-delivered example with both air conditioning and catalytic converters. 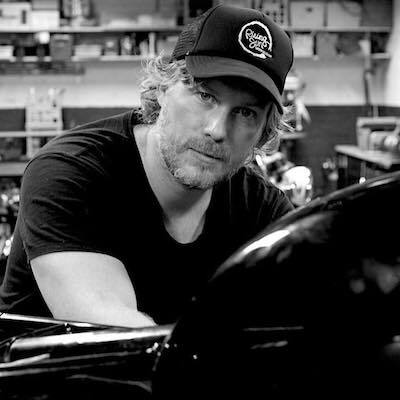 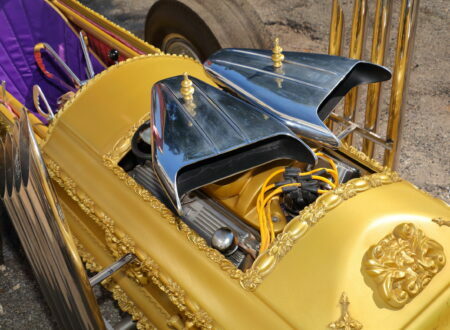 It was last registered in the state of Texas and benefits from a recent comprehensive service from GTO Engineering which included replacing the timing belts, tensioner bearings, cam seals and O-rings, check and set valve clearances, replace valve cover gaskets, set air flow and balance on all eight cylinders as well as replace the spark plugs and accessory belts. 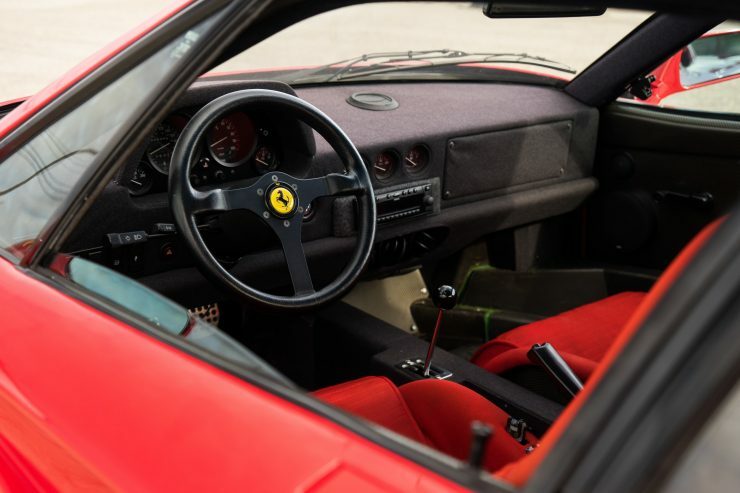 Additionally they bled the brakes, replaced by-pass valves, checked clutch operation and replaced fluid, and replaced the brake ducting. 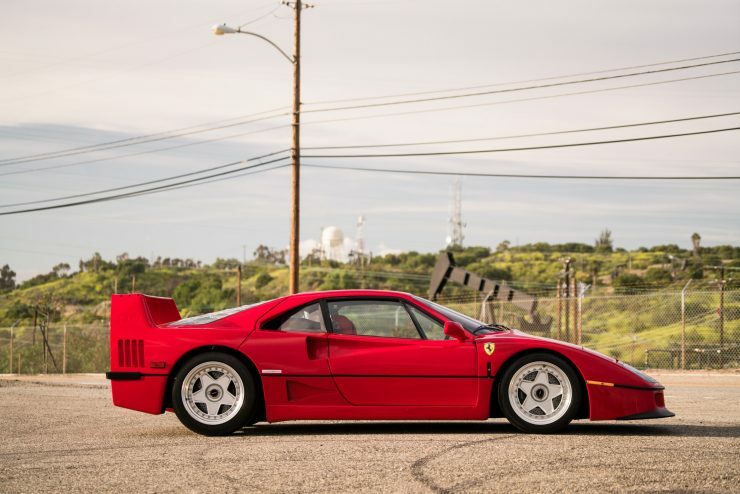 It’s due to be offered for auction on the 24th of June by RM Sotheby’s with just 16,000 miles on the odometer, the estimated value is between $900,000 and $1,100,000 USD. 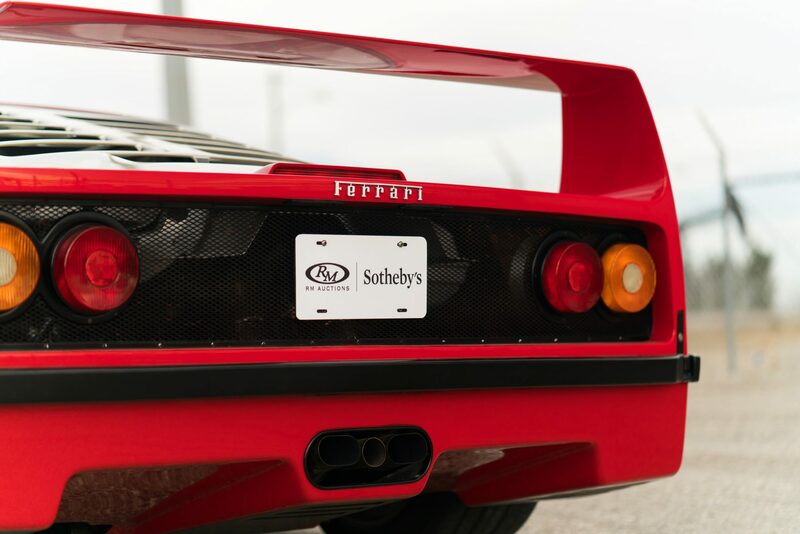 If you’d like to read more about the car or register to bid you can click here to visit the listing.